Since that first walk, the Kilbrides have tried to make attending the walk an annual family outing. 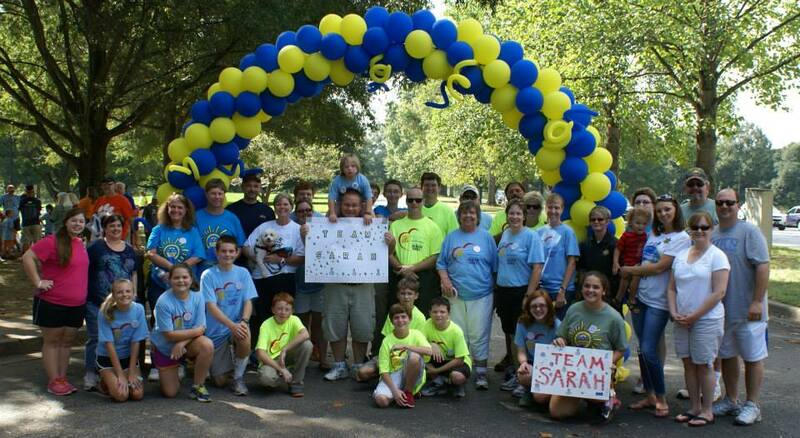 To date, Team Sarah Rocks has participated in six Greenville Buddy Walk® events. Vicki uses Facebook and email to invite friends, family, and loved ones near and far to join their team. One year, they had 60 people come out to the walk to support their team. 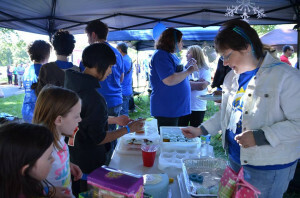 Vicki set up a tailgate tent where their team relaxed and enjoyed each other’s company.